Holy lamb Body Pillow, Northwest Eco Wool fill. 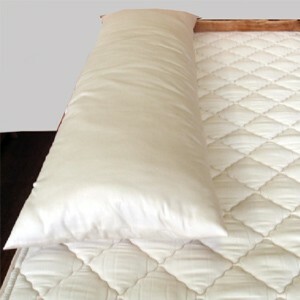 Relieve leg and hip aches, cushions pressure points for side sleepers. Must have for moms-to-be. Year round comfort where ever you live. Wool’s temperature-regulating properties release vapors from by the body while you sleep. 17 x 53" approx. Care Made in the USA.